土と平和の祭典 2009 | Attitude inc.
“Soil and Peace Festival” is a harvest festival to thank the earth, performed every autumn in Hibiya Park, Tokyo. 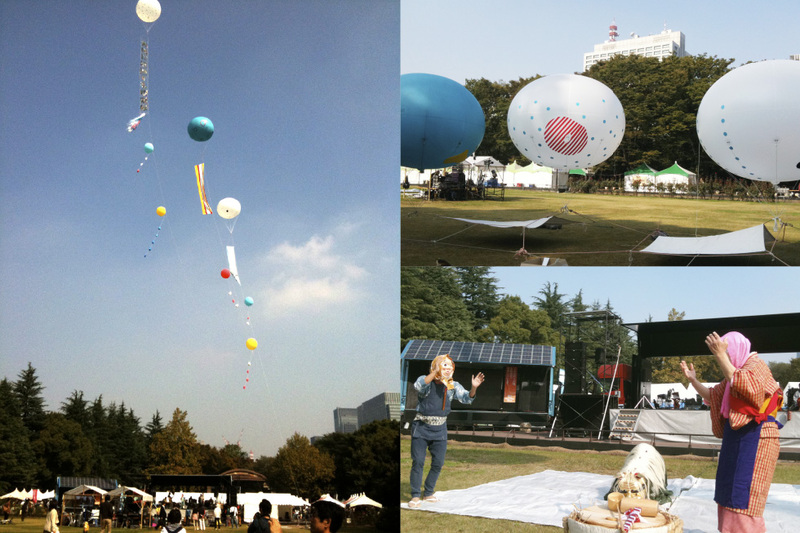 I participated in this festival in 2009 as an art director of the festival’s PR materials. Although the festival includes events such as a farmers’ market, public talk sessions and open-air concerts, the main subject is to think about “An agricultural way of life”. 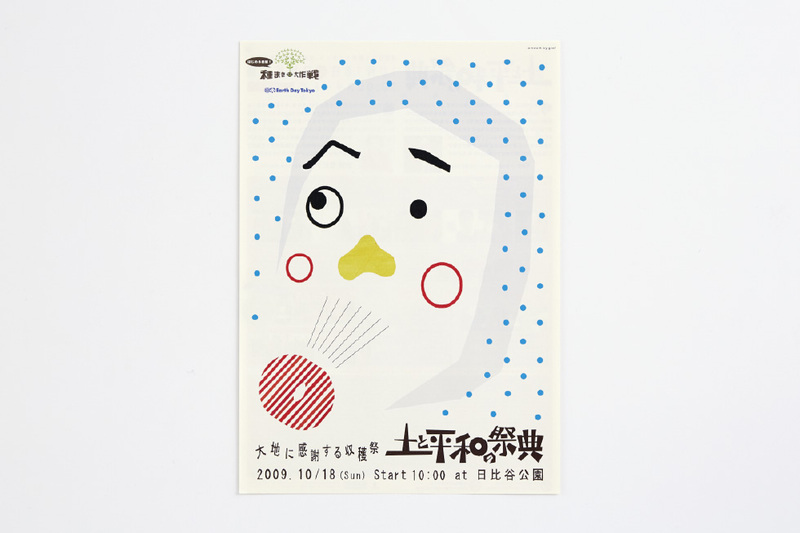 Therefore, as a main visual of the PR materials, I used an image of “Hyottoko (a man with a clownish mask)” which has been the symbol of the harvest festival in Japan for a long time. 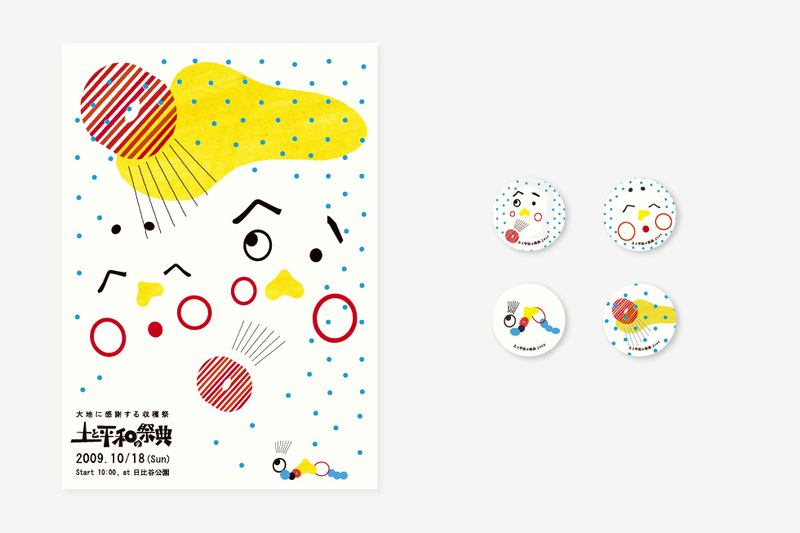 As I designed this “Hyottoko” by combining simple graphic factors similar to “Fukuwarai (Japanese traditional game like “pin the tail on the donkey”)”, I changed those factors into various forms and used them for the decoration of the venue and also for other PR materials.